[Lahore Apr.20.2018] – Vivo has announced today to further reduce the price of Y71; an entry level smartphone with FullViewTM Display. The Y71 packs a fair number of features for just Rs. 17,999; making it one of the best choice for new smartphone users. Lightweight and slim, the Y71’s body features a slight curve, which sits snugly in your palm. Smoothed by the new high polymer nano-blasting technique, it’s elegant and designed to be touched. The 18:9 FullView™ Display of Y71 has super narrow bezels, achieving an impressive screen-to-body ratio of 84.4%. The result? An immersive display that pushes your mobile viewing experience to the limits. Compared with standard 16:9 aspect ratio phones, the 6.0‑inch Y71 displays 12.5% more content, while still being compact and lightweight enough to carry and operate with one hand. 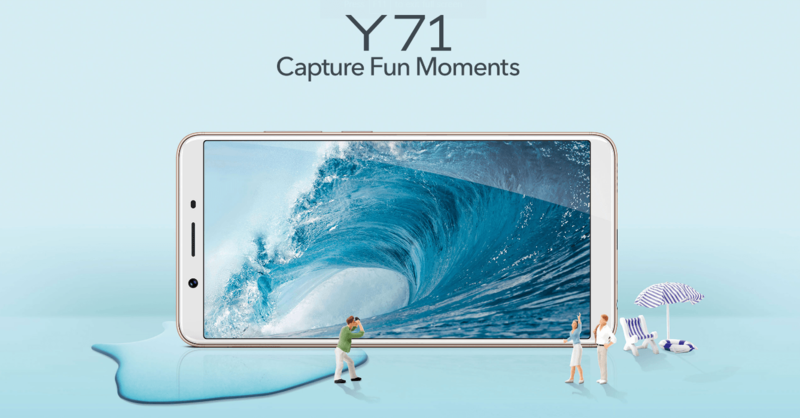 The Y71 has an 8MP high-definition rear camera with fast focus, letting you capture fleeting moments with ease. Its F2.0 large aperture manipulates the light to create vibrant, crystal-clear photos, event at the night. The Backlight HDR optimizes lighting for your face, making all features bright and clear. The front 5MP Selfie camera also doubles as a security device, the moment the screen is activated, your Y71 scans your facial features and unlocks instantly. Think of it less as a phone, and more as an old friend, who recognizes you at a single glance. At its heart, it has a Qualcomm Snapdragon 425 chipset with 2GB of RAM and 16GB of built-in storage that can be expanded via the dedicated microSD card slot. You’ll enjoy seamless performance, whether you’re watching videos or checking social media, all thanks to the Funtouch OS 4.0 based on Android 8.1 Oreo TM. The Y71 boasts a large capacity 3360mAh battery and advanced AI optimization, making it even more energy efficient. The latest Vivo Smart Engine also provides additional power management, so your longer lasting battery gives you the freedom to stay outside longer. The Y71 is available across Pakistan in two dazzling colors; Black and Gold at the new price of Rs. 17,999 with one-year official warranty. Zong customers will also get free 6GB Data Bundle with the purchase of this phone and can activate the offer by putting Zong 4G SIM card in slot one. A young global smartphone brand focusing on introducing perfect sound quality and ultimate photography with cutting-edge technology. Vivo makes stylish smartphones with cutting-edge technology accessible to young people and professionals around the world. 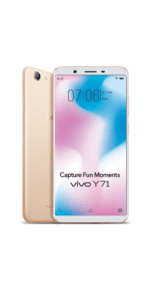 Vivo has more than two hundred million users and it is one of the preferred brands of young people around the world. As the exclusive smartphone sponsor of the 2018 and 2022 FIFA World Cup, Vivo believes in the importance of encouraging young people to embrace self-expression and an energetic lifestyle.